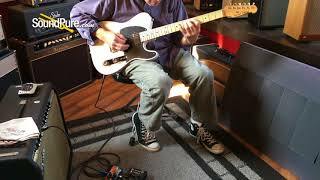 Mary Kay White with a Black guard - my favorite !!! 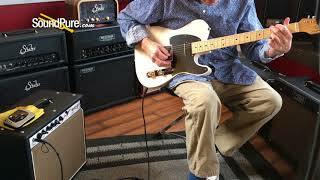 In this video, Sound Pure Electric Guitar Specialist Eddie Berman plays the Michael Tuttle Custom Classic T Mary Kay White S-H #467 through a Carr Amplifiers Sportsman 19W 1x12 Combo Amp. 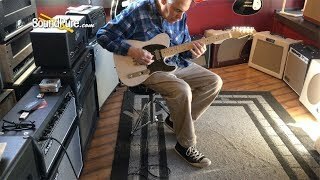 In this video, Sound Pure X Electric Guitar Specialist Eddie Berman tries out the Tuttle Custom Classic T Mary Kay White S-H #467 with the Fender 1971 Pro Reverb Silverface Combo Amp, the Strymon El Capistan dTape Delay Effect Pedal, and the Xotic Effects Soul Driven Overdrive/Boost Effect Pedal. 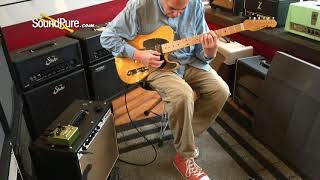 In this video, Sound Pure Electric Guitar Specialist Eddie Berman test out a Michael Tuttle Custom Classic T Butterscotch S-H (Serial #482) with a Carr Sportsman 19W 1x12 Combo Amp and a Strymon Brigadier dBucket Delay Effect Pedal.